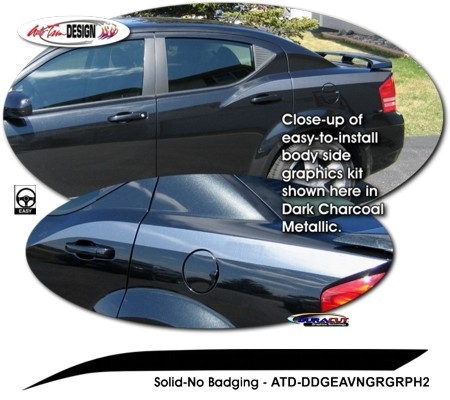 Set your '08-'14 Dodge Avenger apart from the rest with this classic and unique body side graphics kit. Easy-to-install kit is packaged as a set of two (2) pieces (one  for each side of the vehicle) that are contoured and fit for the rear door and quarter panel of the Avenger as shown. They're PRECUT and ready to install in a wide variety of colors (requires light trimming at door jamb and fuel door area)!